The fallout from the Ten Commandments monument controversy at the state Capitol dominated local news here last week, but another Oklahoma Supreme Court decision was just as important in a far more practical sense. The court, which decided the monument was in violation of the state constitution and must be removed from the Capitol grounds, also decided people could sue energy-related companies for damages they believe are related to the fracking process. 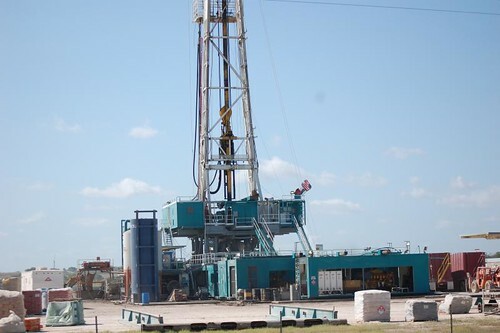 According to media reports, some people in the oil and gas industry wanted the Oklahoma Corporation Commission to handle such cases, but the court correctly upheld the basic concept of tort law, which allows people the basic right to sue for damages in district courts. Like the Ten Commandments monument case, which rested on the clear church-state separation language of Article 2, Section 5 in the constitution, this case was another no-brainer, although it didn’t create quite the same overreaction by conservatives. Maybe some of those same conservatives have had their homes consistently rattled on an almost daily basis for a few years now. The case specifically allows Sandra Ladra to proceed with a lawsuit against two Oklahoma energy companies. Ladra’s house was damaged and she was injured in a Nov. 5, 2011 earthquake in Prague that registered at 5.6. Scientists have been arguing for months now that the dramatic surge in earthquakes here is related to wastewater disposal wells used in fracking. In the frackng process, water laced with chemicals is injected by high pressure underground to create fissures in rock formations. These fissures release fossil fuels. The wastewater is then injected back into the ground. These injection wells and the wastewater process are what scientists say are causing the dramatic surge in earthquakes. The decision, as I mentioned, is an important one. It’s highly unlikely oil and gas companies will want to take responsibility for the earthquakes, which could lead to damage claim payouts. But Ladra’s case and perhaps future class action lawsuits could put pressure on energy companies to do more to try to prevent earthquakes because it threatens their bottom line. Oklahoma has seen a tremendous surge in felt earthquakes, from just a few a year to hundreds of 3.0-magnitude or above. It’s not unusual these days in central Oklahoma to feel several earthquakes in one day. Oklahoma now leads the contiguous United States, including California, in 3.0 or above earthquakes. The spike in earthquakes has paralleled the horizontal well and fracking boom here. The earthquakes in central Oklahoma have concerned many homeowners who are worried the constant shaking of their homes could lead to damage to their foundations, cracks in brick walls, the destruction of fireplaces or other structural problems. Many people seem concerned as well that the area could experience a larger earthquake, say in the 6.0 or above range, centered near a heavily populated area that could lead to injuries or even deaths. It’s quite possible that lawsuits are the best last resort at this point unless the oil and gas industry takes responsibility. The problem is, of course, documenting building damage and determining if it came from earthquakes or not. That can be difficult unless the damage comes from a larger quake rather than a series of smaller ones. There remains, as well, the question of home values in central Oklahoma and the impact of the earthquake problem on them. I anxiously sat through four or five earthquakes in my house that came in a series a couple of weeks ago. One was a 4.0-magnitude. That’s become normal here, and it certainly can’t help increase home values. Unless there’s a major decrease in seismic activity before the 2016 general election, the earthquake issue here is sure to be one of the election’s most contentious issues. Will conservatives, worried about their homes, join with environmentalists to elect politicians who will stand up to the oil and gas industry? Wishful thinking? Perhaps. But a major earthquake could change all that in just a few seconds.